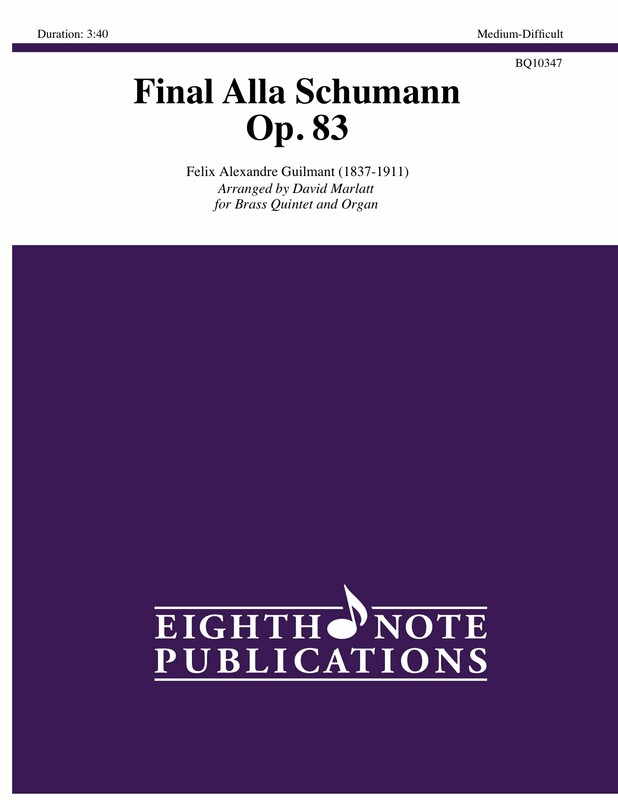 This brilliant fanfare piece written by the French organ giant Alexandre Guilmant in 1895 was written for both organ and orchestra and organ alone. No one knows which version came first but both have enjoyed popularity by players and audiences. Powerful and colorful, this work lends itself very well to brass quintet and organ.